A personal loan allows you to borrow a fixed amount of money over a certain period of time. This loan will then be paid back, usually at a fixed rate, over a set period of months. 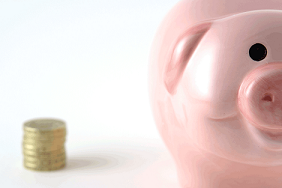 A personal loan usually offers between £1,000 and £36,000. Customers can use this loan to purchase a new car, do some home improvements or to help with debt consolidation. An unsecured loan is exactly the same as a personal loan. With these types of loans, you don’t have to offer up any kind of collateral (e.g. your house) as a guarantee in order to get the loan. While this could mean less risk to you when borrowing the money, unsecured loans tend to have higher interest rates as a result. A loan like this can be used for a number of different reasons. 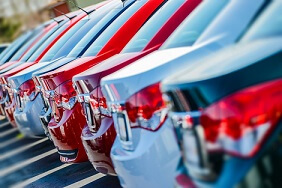 One of the more popular choices is to help with the purchase of a new car. You also may want to use the loan to consolidate your debt or even to pay for your wedding. Whatever you may need the money for, a loan is one way to get the amount you need quickly and easily at a rate you can agree on. Personal loans typically offer between £1,000 and £36,000, and could be used for purchases such as a new car or some home improvements. They also give you the flexibility to pay back the loan over a number of years. Most unsecured loans have a fixed interest rate, which means that repayments will stay the same throughout the term. Before you apply for a loan, take some time to work out how much you want to borrow and how much you can afford to pay back monthly. Before deciding on a loan, it's worth taking your income and expenses into account to be sure you can realistically make the repayments. Depending on your credit rating, you may be offered a different interest rate (Representative APR) or be limited to a certain amount that you can borrow. Compare loans without affecting your credit score and get approval in three minutes. You may also be asked for proof of address and proof of earnings to support your application, so be sure to have these to hand. Hire purchase – Hire purchase, a type of secured loan, usually requires a 10% deposit followed by monthly payments. You hire the car until your final payment after which you own the car. 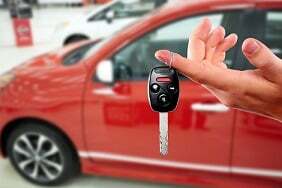 Personal contract purchase – PCP is quite similar to hire purchase but requires a ‘balloon payment’ at the end of the term in order for you to own the car outright. You also have the option to give the car back and start a new PCP deal. You can learn more about your options by reading our finance explained article or by heading over to our car finance guides hub for more in-depth, expert knowledge. We allow anyone to see if they're able to get a loan within minutes. We'll ask for some information, and we'll allow providers to carry out a soft credit search to see if they can offer you a good deal. A soft credit search will not affect your credit rating. What circumstances will affect the loan rate I'm offered? The value of the loan, and its term. I've already got a loan with Confused.com, can I take out another one? Yes, you are eligible to take out another loan through Confused.com. The initial loan will appear on the customer's credit profile when initial searches are carried out, and this will be taken into consideration when being offered a second loan. Can I change my loan repayment date? In some circumstances you can change your loan repayment date. This can be done by contacting your lender directly. Can I increase or decrease the amount I pay every month? Yes, again this a conversation that is required with your lender to discuss repayment options. What can I take a personal loan out for? A personal loan can be used for a number of purposes, including to finance a car purchase; debt consolidation; a wedding; home improvements and holidays. In most cases the lender will want to understand the use of the loan as this may affect the initial loan rate offered. Annual percentage rate (APR) is the total charge for borrowing, including any fees and charges for that lending . We will show you either an exact APR or a representative APR . Exact APR means the rate you see will be the rate you get. Representative APR is an advertised rate that at least 51% of people who are accepted for the product will pay. You can take a loan out for a minimum of one year and a maximum of 5 years. Can I choose the date I make the repayments? Yes you can choose the date of repayments, this can be agreed initially with your lender. Compare unsecured personal loans of up to £36,000.